To celebrate the launch of our new company, PROCESS.AUDIO and the release of our first plugin, SUGAR, Fab Dupont will be mixing an entire song with only SUGAR, LIVE this Thursday! 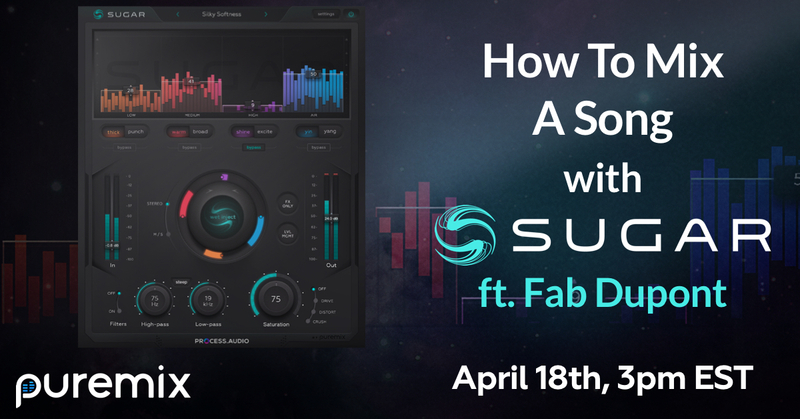 During this live event, you will have the opportunity to ask Fab all of your questions about SUGAR, and see how incredibly useful this plugin is! Submit your questions here or come with your questions in hand this Thursday, April 18th at 3 pm EST.